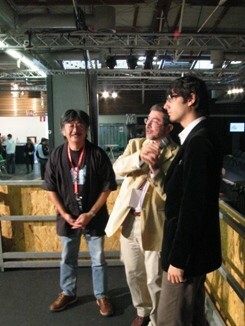 As I wrote in the previous entry, Nobuo and I are now staying in Italy for participating in "Festival of Creativity" in Florence. And we finished the talk show and the concert the day before yesterday! 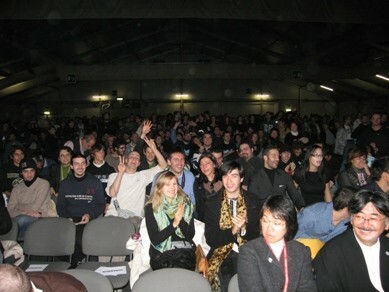 It was an amazing and exciting moment, and was really surprized to know that so many Italian people loves Nobuo's music! It was an exitement beyond the reach of imagination. I have many things to tell you now, but I'll inform you on the "Inu-mimi Radio" and the blog entry after I get back to Japan. So this time, I'll show you some pictures of the Festival! And please check the official homepage of "DISTANT WORLDS music from FINAL FANTASY"(http://www.ffdistantworlds.com/). Maybe we can come back to Italy or "near Italy" again in the near future! 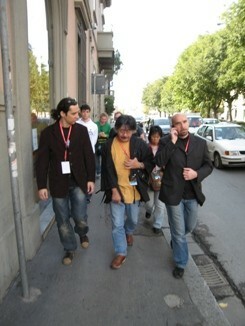 Nobuo walking to the "Fortezza da Basso" for the press interview. There were many interviews from many medias, like RAI TV. 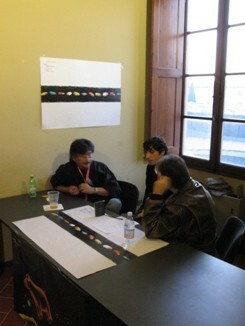 Interviewed by the "Rolling Stone Italy". 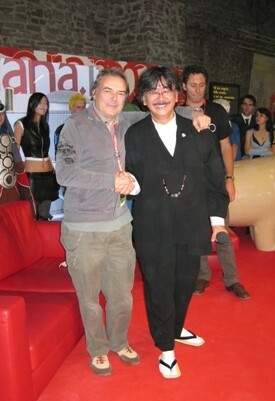 "Mauro Pagani" the person whom Nobuo admires most highly came to the talk show to meet him!!!! There were 2shows in a day, and both were full house of fans! Next is a talk show in Lucca/Italy! We're waiting for you to come! !